Who’s waging it? The surprising answer that isn’t a surprise at all. Fox is the true cancer of our country. Fox continues to move closer to being like RTLM hate radio in Rwanda. Constant over-the-top fearmongering about how the other side is a "cancer"
She's a cancer on America. @ebonydiva75 tweeted to @NewsHoundEllen: OMG girl! #MichelleMalkin was being overly pissy & full of s--- on Hannity! Ellen Brodsky ‏@NewsHoundEllen tweeted to @ebonydiva75: She's a cancer on America. Whoa! Is this the same Ellen Brodsky who wrote an entire article screaming about Beck calling someone ‘a cancer’? Apparently when you’re Ellen Brodsky, it’s only ‘hate speech’ when someone on Fox does it. So she blithely calls Michelle Malkin ‘a cancer on America’, and is delusional enough to think that no one will catch her galloping hypocrisy. Notice how many people ‘liked’ the comment? Hounds of a feather hate together. If you think only Ms Malkin gets this sort of insulting treatment, please be aware that newshound misogyny is bipartisan. 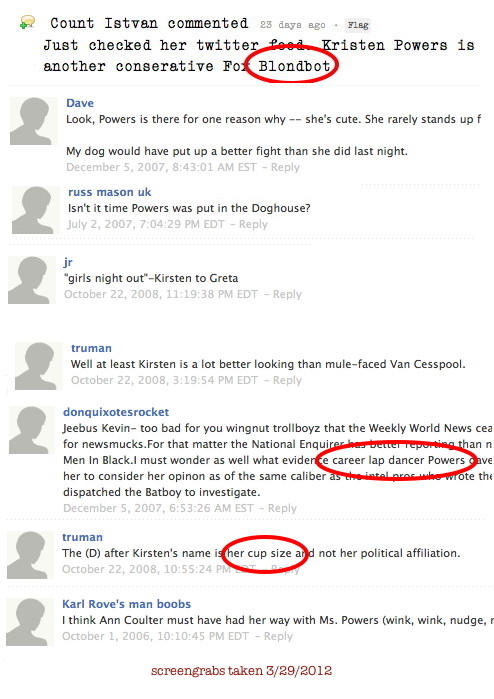 Look at the disgusting comments Ellen Brodsky approved for publication about Kirsten Powers! The strategy is clear: women who work for Fox must be destroyed, even if it means personal attacks, racial slurs, and vile demeaning language. It’s NewsHoundEllen’s war on women; you’ll have to ask her why she wages it with such repellent rhetorical sewage.